The Excel Center- South Bend Open for Learning! School’s in session! 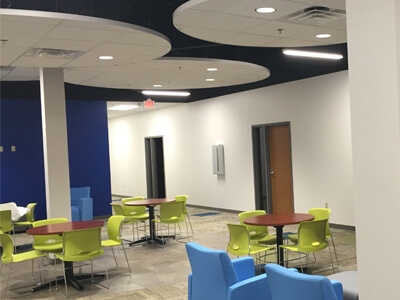 Goodwill Industries of Michiana and Ancon Construction are excited to announce the completion of a 25,000 sqft building project at The Excel Center – South Bend. The project is a great example of “adaptive re-use” as it converts an old, vacant office into modern educational spaces. The Excel Center – South Bend, which is operated by Goodwill LEADS, INC, provide adults the opportunity and support to earn a high school diploma and pursue post-secondary education while developing career paths that offer greater employment and career growth opportunities. Approximately 300 students are enrolled!